A server is vulnerable to DROWN if it allows SSLv2 connections or its private key is used on any other server that does. This is shown to affect at least 25% of the top 1 million sites. ‘Make your team’s deploys as boring as hell and stop stressing about it,’ says Zach Holman. Lots of great insights in this well presented guide. A free online course that provides a primer for anyone interested in better understanding IPv6. 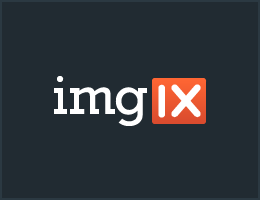 With imgix, integrating responsive images into your stack could not be easier. imgix can connect to an S3 bucket to resize, process, and serve images via CDN. Learn how to improve your images in less than 30 minutes. Mostly oriented around how metrics can hard to manage or represent properly, and how the actual user experience trumps the numbers. A look at the actual code being served up, what’s going on, and how it’s even affecting major publishers and retailers. A walk through of setting up a separate account and enabling consolidated billing so you can do more with AWS from a developer POV. Aidan had some credit to burn, so ran up a GS5 instance with 32 cores, 448GB RAM, and 64 terabytes of SSD storage. Google’s Accelerated Mobile Pages project is aiming to improve Web performance on mobile devices, but Tim Kadlec thinks there are other, more standards-based ways to reach similar ends. A look at how a busy search data service moved from MySQL to a programming language specific binary marshalling approach, and why. On Hired, sign up in 10 minutes and get offers from top companies like Facebook, Uber, & Stripe. Engineers get an average of 5 offers on the platform in 1 week. Try it today. SSLv2 has been turned off by default in NGINX releases since 2009. Join the first ever Virtual Course for IT Ops to elevate your skills and site’s performance. Quite an in-depth look at what’s involved. How a popular mobile social networking service is working its IT platform. Bosun is an open source monitoring and alerting system. Can be integrated into any existing workflow. Mocks the new HTTP/2 interface to Apple’s push gateway. You’ve got Ops under control - what about the codebase? Neglected apps become harder to maintain and upgrade. Sign up to CodeCare and get fixed price ongoing upgrades and improvements for your Ruby on Rails apps.